A former pediatric surgeon who was later in retirement worked part-time for a pain clinic in Palm Beach County has been acquitted of murder charges related to the fatal overdose of a 24-year-old patient on Oxycodone. However, the 81-year-old physician was convicted of “selling” (over-prescribing) high quantities of Xanax to a patient – coincidentally a former chef for Donal Trump, no a U.S. Republican presidential candidate – who was undergoing treatment for substance abuse addiction. The patient did not die, but the charge is still a third-degree felony, for which the doctor could face up to five years in prison. However, there is no minimum mandatory, so it will be up to the jurors and judge to decide the sentencing. 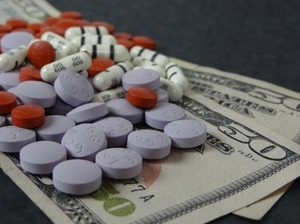 The case was connected to a one-time “pill mill empire,” which involved a $40 million operation with clinics in both Palm Beach and Broward Counties. The two twin brothers who owned the operation – now serving 15- and 20-year prison sentences – testified against the doctor. He faced 11 charges, including second-degree murder, drug conspiracy and drug trafficking. However, an office manager at the clinic testified he never told the doctor he gave patients fake MRI exams and tried to fool him into prescribing high dosages of the drug. The doctor, who earned $4,000 a week, insisted he wasn’t involved in the conspiracy. He wanted to help patients legitimately in pain, and he also made it a priority to help wean people from the dangerous, highly-addictive painkillers. In total, the clinics in both counties were responsible for supplying some 20 million Oxycodone pills to people in the region. Following announcement of the verdict, the judge – much to everyone’s surprise – ordered the elderly doctor to await sentencing in jail. Given his age and lack of prior record, this was stunning, even to jurors, who were later interviewed about it. A defense attorney later opined that the jury likely only convicted the doctor on the least serious charge in order to send a message to the medical community about working for these type of operations – as opposed to being based on the doctor’s actual conduct. The so-called “pill mill epidemic” in Florida was partially fueled by internal demand, but also by the “Flamingo Express,” a pipeline carrying the drugs across state borders and into places that at the time had much more stringent laws than Florida regarding access to these substances. The term “pill mill” describes the assertion these operations were more concerned about profits than the patients for whom they cared. A series of legislative actions over the last several years has significantly curbed these operations. Further, while the young man’s family insisted the overdose was not intentional, defense presented evidence the young man was depressed, unemployed and had just suffered a breakup with his girlfriend. Drug trafficking in Florida though continues to be a prime target of law enforcement agencies throughout the state. If you have been charged with any related crimes, you must contact an experienced criminal defense lawyer. Often with proper legal counsel, charges can be whittled down or dropped entirely even before the trial phase. It’s rare for health care professionals to be charged with these crimes in connection with their job, except where the medications may have been stolen. However, overzealous prosecutors will take the opportunity whenever they can. In order to minimize the damage to one’s career, reputation and freedom, contact our offices today.